While you live at Merrill Gardens, you may find that your needs change over time, but we believe your home shouldn't have to. In the course of living a full and happy life, we understand that care needs for seniors can often shift – at some point you may desire assistance managing prescriptions or with the tasks of daily living. We are there to provide the help you may need – within the comfort of your apartment home. In our communities, changes in care don't mean a move to new accommodations. You can stay and grow with us and we will work closely with you to meet your changing needs. 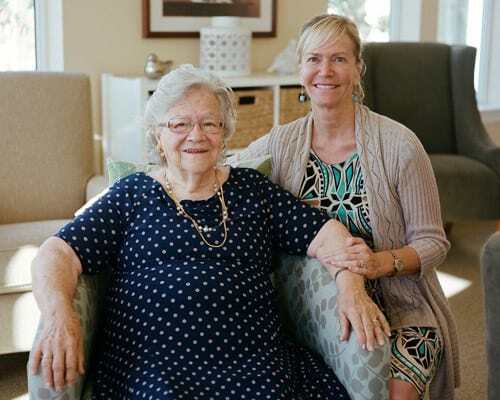 At practically every Merrill Gardens community, we license the entire community for a wide range of care. This means that as your needs change and services come and go, the security and personality of your home can remain sacred. After all, it is your home and we want to help you keep it that way.